Paula Deen meets Erma Bombeck in The Pioneer Woman Cooks, Ree Drummond's spirited, homespun cookbook. 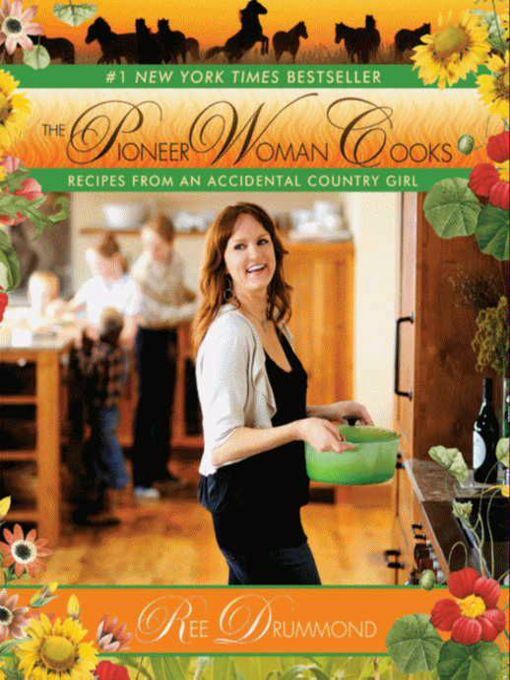 Drummond colorfully traces her transition from city life to ranch wife through recipes, photos, and pithy commentary based on her popular, award-winning blog, Confessions of a Pioneer Woman, and whips up delicious, satisfying meals for cowboys and cowgirls alike made from simple, widely available ingredients. The Pioneer Woman Cooks—and with these "Recipes from an Accidental Country Girl," she pleases the palate and tickles the funny bone at the same time.